Telcom & Data Online Shopping Business Phone Systems & more. Founded in 1996, Telcom & Data Inc. is a single source provider of telecom products and solutions. We help companies boost their bottom line through telecommunications technology. Telcom & Data has greatfully worked with thousands of businesses worldwide that have benefited from our services and we can provide a tailor-made solution for you, too. We work with customers providing solutions including, Business Phone Systems/Services, Conferencing and Collaboration solutions, Emergency Notification and Paging and much more. Telcom & Data Inc provides custom solutions that will measurably improve your business. We ask questions that target your toughest business challenges. We provide complete telecommunications analysis based on your company’s vision, needs, growth, and budget. Every product and service we offer has been tried and tested for reliability, ease of use, integration, and manufacturer’s support. Telcom & Data Inc. clients receive personalized attention from knowledgeable sales and technical staff. 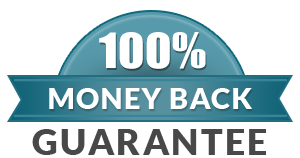 All products (except software) carry a 60-day money back guarantee. Telcom & Data provides a service network of over 1600 technicians provide global service to keep our customers going without missing a beat. If a problem does arise, the service department answers our phones live. You will never be stuck talking to a machine at Telcom & Data Inc.
A company that answers your call with a live voice with someone ready to serve you. We earn our customers by providing ongoing support, training, upgrades and being ready when they need something. At Telcom & Data, we strive for customer loyalty and want to surpass your expectations. Our service team will execute your next project flawlessly from start to finish. And all of this is provided at competitive prices. I invite you to call us at 800-335-0229 or 414-831-5830 to find out how Telcom & Data can enhance your business.